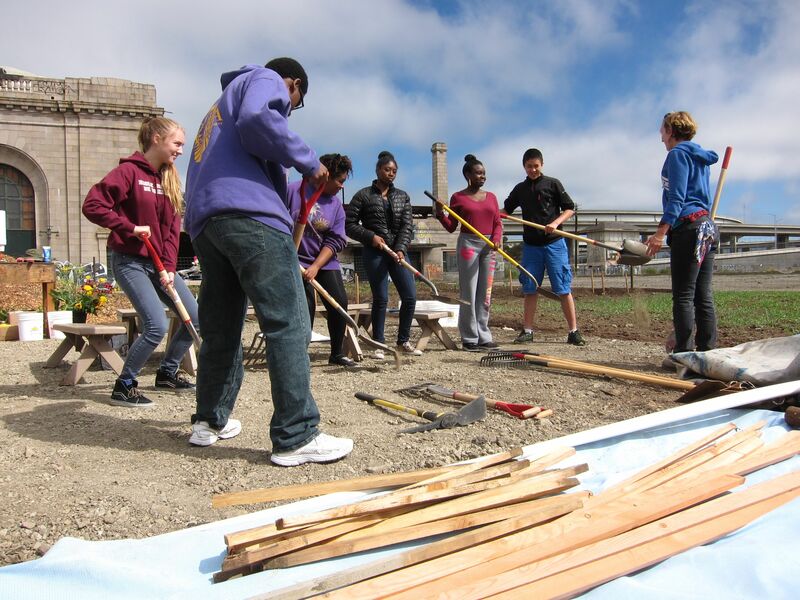 WOW Farm is expanding into a second vacant lot in West Oakland, and we need your help! We have signed a lease to turn 7,000 sf of asphalt parking lot in front of Oakland’s historic 16th Street Train Station into a thriving youth-run flower farm. This expansion will more than double the number of Oakland youth who access this essential job training and environmental education opportunity, providing meaningful green jobs to an additional 20 youth per year. Harnessing the kind Oakland climate (West Oakland was the nexus of a nursery industry started by Japanese immigrants in the 1890s), and a thriving Bay Area market for organic and sustainably grown flowers – WOW Farm Flowers will be as local as it gets for Bay Area flower buyers. Join the campaign on Rally.org.